The ones you saw — and the ones you didn't. 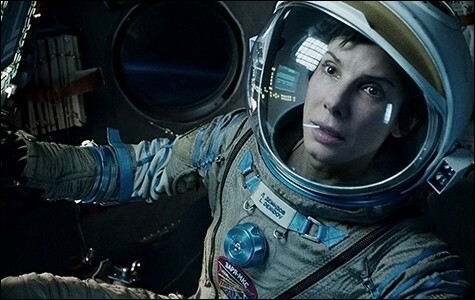 Sandra Bullock portrays a strong female character in Gravity. Let's work down the list from glitz to grunge, from the slickest to the roughest. No movie this year was slicker and more accomplished than Gravity, the spaceship adventure against which all future such spectacles will be measured. Since Gravity first splashed down in October, the marketplace has only confirmed what we knew all along. Alfonso Cuarón's crowd-pleasing procedural disaster pic — with the most exciting production values we've ever seen — represents a quantum leap forward in its genre and also in the wide-open universe of motion picture entertainment. Best of all, the biggest box-office hit in Cuarón's career (currently in sixth place on the 2013 grosses chart) does not sacrifice the things we love about his work: the humanism, the far-ranging international viewpoint, the essential skepticism, etc. 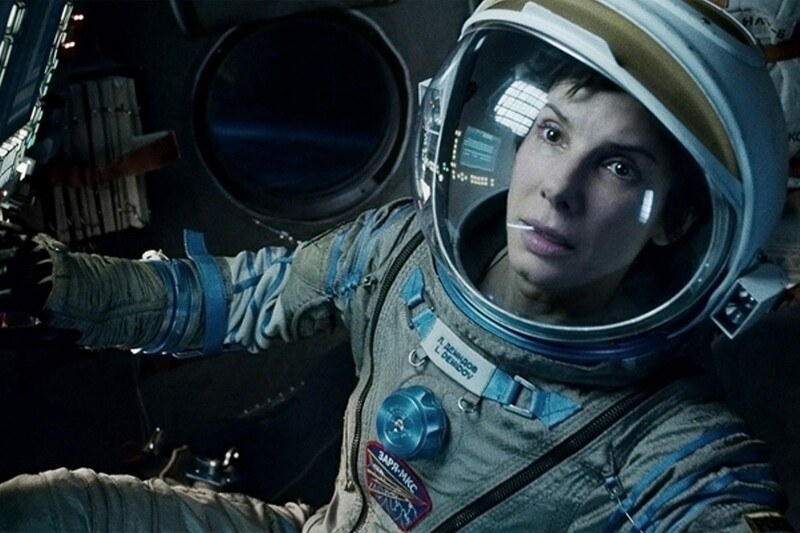 In Gravity's stripped-down two-character cast the pivotal part belongs to a woman: Sandra Bullock as heroic astronaut Ryan Stone. There's a lot of that going around. Six of our Top Ten entertainments are shaped by strong female characters, none more so than Cate Blanchett's dazzling performance in the title role of Woody Allen's Blue Jasmine. It isn't entirely necessary to know that Blanchett's Jasmine French is an update of Blanche DuBois from Tennessee Williams' A Streetcar Named Desire in order to enjoy the show Jasmine puts on when she straggles into San Francisco in a cloud of vodka, pills, and self-pity. Seldom has misery been so amusing, nor foolishness so pathetic. Writer-director Woody Allen's best screenplay in twenty years provides the footing for the latest in a remarkable line of flavorful, brave performances by Blanchett. It's one of those actor-director pairings that we dream about on long winter nights. 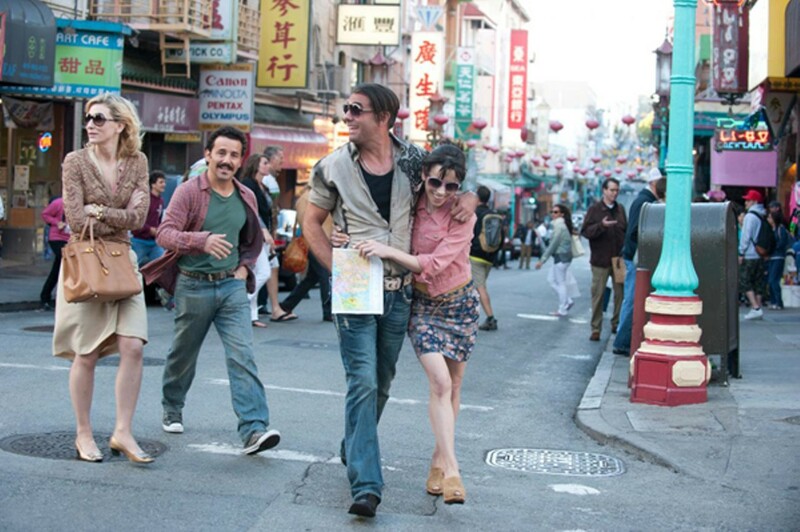 Factor in the enthusiastic support playing of Sally Hawkins, Andrew Dice Clay, Alec Baldwin, Bobby Cannavale, Louis C.K., Peter Sarsgaard, and Michael Stuhlbarg, and Blue Jasmine takes on an unforgettable luster. Allen's resurrection and Blanchett's triumph. At first glance, Alexander Payne's Nebraska might seem like just another of the filmmaker's comic/wistful studies of his home state — à la Citizen Ruth, Election, and About Schmidt — but there's something unique about this particular Payne road trip back to the heartland: It's got Bruce Dern in it. The legendary actor's actor, prized for his heavies and weirdos in the films of Roger Corman, Hal Ashby, Walter Hill, and other Hollywood mavericks, has the Cornhusker State all to himself as Woody, the grumpiest man ever to steal the wrong farmer's air compressor. Payne delights in flawed individuals. Woody has imperfections to spare, but the lingering mood of Nebraska is one of forgiveness. It's one of Dern's very best acting jobs. It's a shame he had to wait until he was 77 years old to stretch out over the length of an entire feature film with such a richly drawn, complex character. Usually his guys are violently eliminated halfway through. Few movie lovers think of the Coen brothers, Ethan and Joel, as sentimentalists. Yet that's one of the only conclusions we can come to after following them on a time-machine voyage back to 1961 in New York's Greenwich Village, to peer into the habits and opinions of a folk musician who never made it past the open-mic nights. 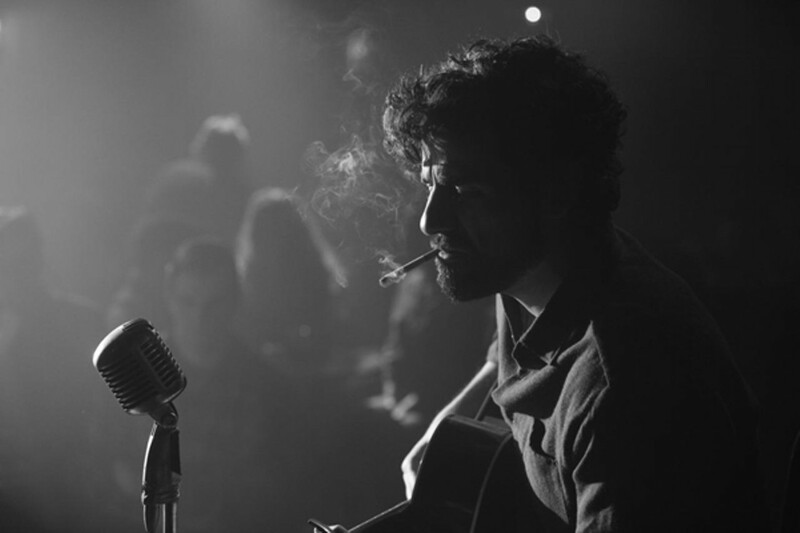 Inside Llewyn Davis sprinkles its nostalgia with typical Coen observations about the fragility of best-laid plans, as the talented-but-irritating singer of songs meets obstacles everywhere he steps. Actor Oscar Isaac milks a surprising number of laughs — of the sour, inside-showbiz variety — out of Llewyn's wanderings, and we get to hear a bounty of new-old folk tunes sung by Isaac, Carey Mulligan, Justin Timberlake, and the rest of the musical cast. But the true flavor of the piece, one of the Coens' most penetratingly bittersweet, is of lost romantic love. Is Llewyn a Dave Van Ronk stand-in or a Bob Dylan doppelganger? Only the Coens know for sure. Better forget all that and soak up the atmosphere and music. 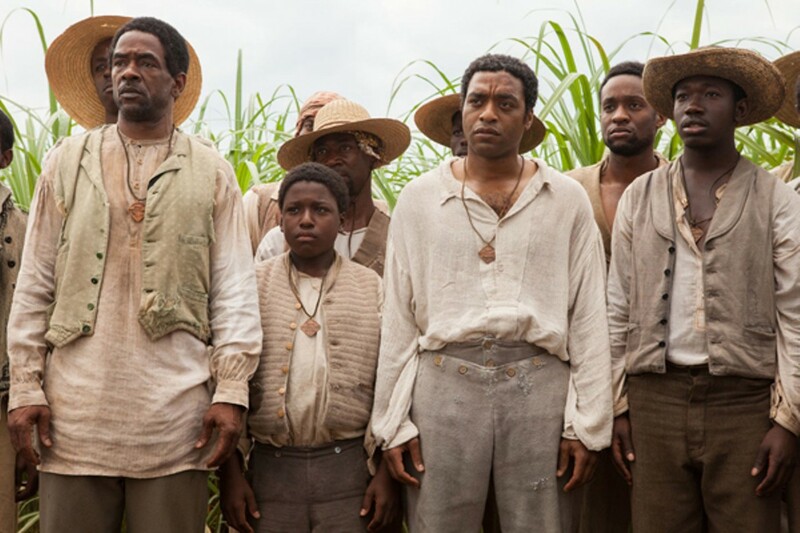 It would wound the heart to reopen the historical discussion of Steve McQueen's 12 Years a Slave. Yet British filmmaker McQueen's dramatization of slavery in the days before the US Civil War is so visceral, and so precisely depicted, that we'll probably be discussing it for years to come. So let's riff on one or two specifics. English actor Chiwetel Ejiofor does a very good job portraying Solon Northup, the victimized focus of the piece, but it's really the supporting players who carry the load. The more beastly they are, the nobler Northup looks, and the more outrageous Northup's treatment by the American slave apparatus, the more clearly the film's message rings out. What's that message, again? That all people everywhere in the world should be able to live in freedom, without fear. We're still working on that. In the meantime, the performances of Michael Fassbender, Lupita Nyong'o, and the rest of the large cast effectively drench us in fear, hatred, and cruelty — for a good purpose. Special kudos to Adepero Oduye, Sarah Paulson, Quvenzhané Wallis, Dwight Henry, Nicole Collins, and the dependable Alfre Woodard, as Mrs. Shaw. Scenes from the Empty Quarter. Woody's back, and Cate's got him. Such a gorgeous kid like Greta.